Have you bought your CNY holidays bus or train ticket? If not you better buy it online now to avoid disappointment. All bus and train tickets to all destinations are selling out fast now. Book your bus tickets now! Do you know, you can now buy bus ticket online and purchase KTM train ticket online at discounted price without going to the counters at bus terminals like Pudu Sentral (Puduraya Bus) Terminal, KL and Terminal Bersepadu Selatan (TBS) at Bandar Tasik Selatan, KL? Gone are the days we need to go to the bus terminals or nearest coach agents a few days or weeks earlier to buy our bus tickets and then travel on another day because the bus tickets to popular destinations like Kuala Lumpur (KL) to Penang are usually sold out last minute and almost every weekends or during holidays like Chinese New Year (CNY). It is way more convenient to buy bus tickets at home anytime using your computer or anywhere using your mobile phones instead of going to the bus terminals, especially those bus terminals with touts and illegal bus operators. Mind you, it is dangerous to travel on buses operated by illegal operators as passengers are not insured. 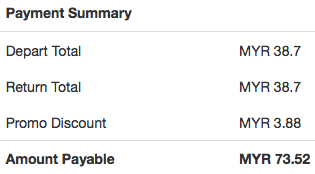 Furthermore, some bus operators allow you to choose your seat when you book your bus ticket online. Skip the long queues and buy bus ticket online! Even though it is more convenient and the online bus tickets are sold at same price as counter price, many of you are still reluctant to change your behaviour to buy bus ticket online. 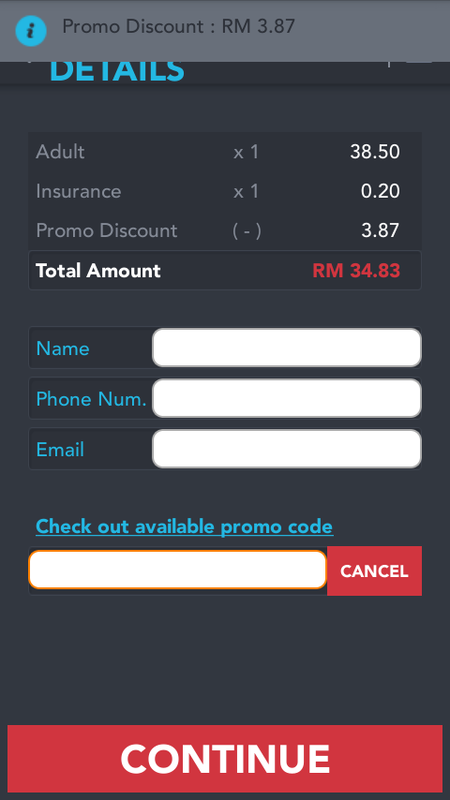 To help you Malaysian students save money and to encourage you to try to buy bus ticket online, we are offering exclusive discount codes or promo codes when you use the following three online bus ticket sellers. They are the top three online bus ticket sellers in terms of bus operators and popularity. 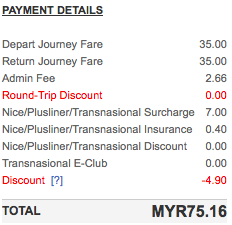 Go to Buy Bus Ticket Online Malaysia to compare bus ticket fares online before you make your purchase. Different websites might have better deals for different routes, so better compare all three websites before you make a purchase since it is very convenient and fast. Apply the following discount codes for cheaper bus ticket fares! Which one offers the cheapest bus ticket online? We compare the ticket prices of the same bus journey at these three websites using our exclusive discount codes. For the sake of comparison of these three websites we choose a trip offered by all of them. We choose return ticket (round trip) of Transnational coach from KL to Penang on 6:00PM 18th February 2015 and 10:30AM 23rd February 2015 for 1 pax to travel back to celebrate CNY. The Transnational bus trip is departing from Hentian Puduraya and arriving at Terminal Sungai Nibong. 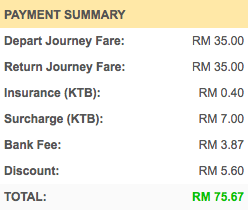 Extremely low price when purchase using Catch That Bus mobile app: RM69.66 (RM77.40 before applying discount code). Please take note that using the mobile app, you need to purchase KL - Penang and Penang - KL in two separate transactions as it does not support return trip selection yet. Hi. You have providing very useful informative information to all get the deals for booking bus tickets. Thank you for sharing this great information.